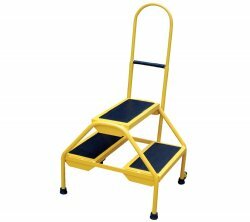 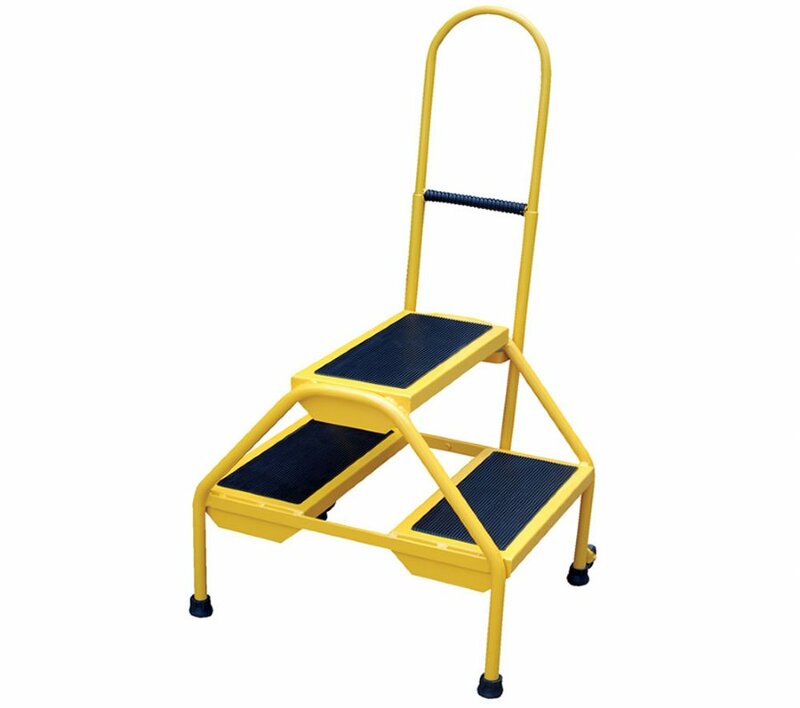 The Blue Portable Two-Step Ladder with Perforated Steel Steps is designed for access to hard-to-reach places. Tubular steel construction. 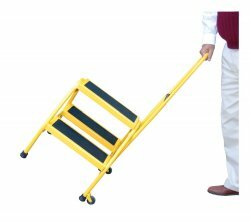 Wheels allow for easy tilt and roll portability.